We have been in need of getting away for a while and the Wife's winter break gave us the opportunity. So, where did we go? We went to the weird, wonderful, mostly snow free, and otherworldly state of Kansas. We headed south towards our next destination. On the way we stopped in the small town of Tipton to have lunch. The restaurant had a cool mural of the town that had been painted by the brother of a previous owner. The food was typical, good small town fair. 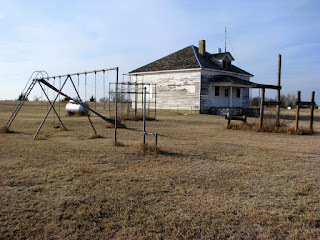 We continued south until, in Hunter, KS, we realized that something was wrong. Checking the map we realized that we had missed our turn some thirty miles back. Those straight, flat roads and the wide open skies had just lulled me into a driving trance I guess. It was our first wrong/missed turn and it would not be our last - roadtrips require a few wrong turns every now and then to keep things interesting. We ended the day in Wakeeney, KS, the "Christmas City of the High Plains." The city apparently decorates all in lights for Christmas but, at this time of year, the only evidence is a decorated park downtown and the occasional Christmas Tree in stores and restaurants. This was a great first day. I love traveling the two lane country roads, away from the interstates. You see interesting small towns and do the hands on steering wheel wave at old farmers in pickups. You also learn the unexpected stuff off the beaten path. 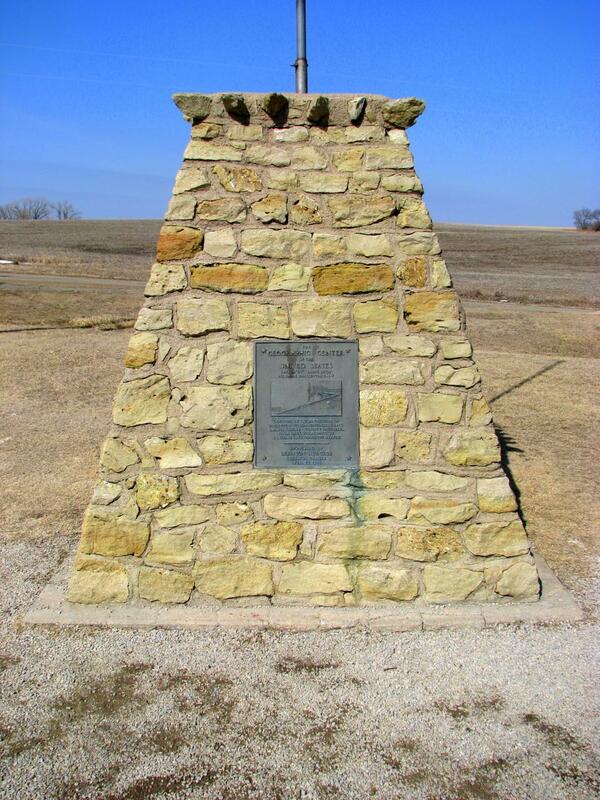 For example I never knew about northern Kansas Limestone. It is so common that it's used as fence posts (There's even a post stone scenic byway in Kansas). There are homes, businesses, and churches built of the yellow stone. Some of you (cough ...Best Man ... cough) asked why I wasn't posting while on the trip. I learned during our last vacation, when I posted on the road, that the evening hours, when you relax, wind down from the day, and reflect on what you saw and did that day, become stress filled when I felt obligated to edit pictures and write a post. This time I decided that I would not do this. I would save it for when I got home. Did I feel a little guilty about being so selfish? Nope. Nothing a little hot tub time couldn't drown. 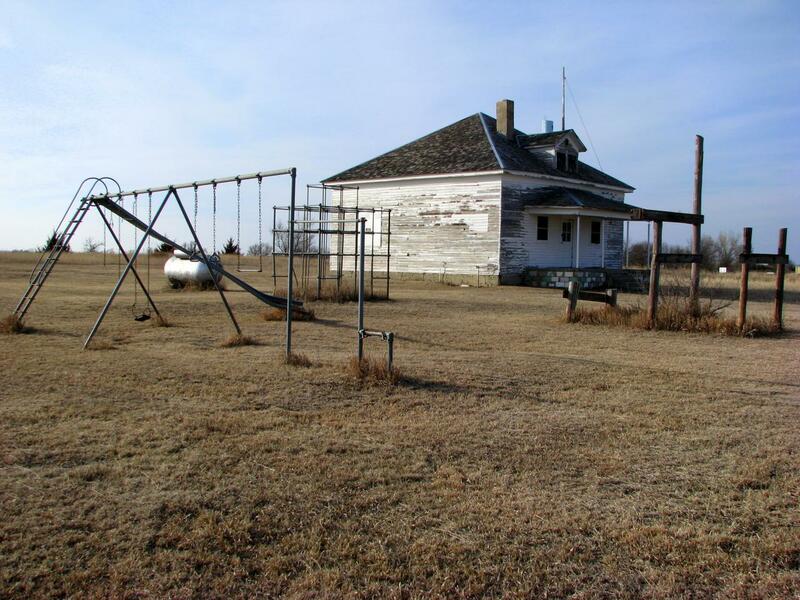 Next, Day Two, even more strange stuff in the heart of Kansas. 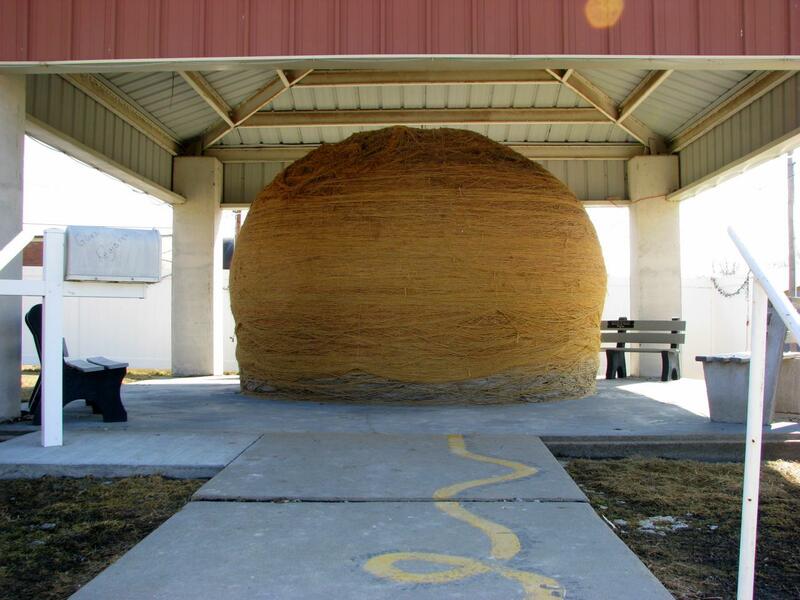 Didn't Weird Al do a song about going to see the biggest ball of twine...? I love random history trips. One of the best reasons to stay off the interstates and stick to the back roads wherever possible. Yes! this is awesome. and good fo you for not posting. Vacationing is meant for vacating your everyday life and having adventures. It seems like you did just that! GH: Weird Al sang about a ball of twine in Minnesota. Miss McC: Thanks! We did! Book: John Scalzi's "The Last Colony"
Book: George R. Stewart's "Names on the Land"